Featuring Kiri Te Kanawa, Howard Morrison, Expo Maori Entertainers - Music for the New Zealand pavilion at Expo ’92. 1.”If This Were Not Now. . . “ (Gray Taylor - Wayne Laird) We are introduced to a fanciful idea: Could a 15th century Spanish voyage have reached Aotearoa/New Zealand - before Abel Tasman? A traditional Maori welcome chant (Karanga) is followed by the sound of the sea breaking on a new shore. 3. “New Zealand Forest Atmosphere” (John Kendrick / Wayne Laird) Separated from a large southern continent which broke up many hundred million of years ago, New Zealand is a setting for completely unique flora and fauna. Thus the bird songs represent in sound both the beauty of the New Zealand forest and New Zealand’s isolation. 5. “Pacific Rhythm” (Turepu Turepu) Many Polynesian Pacific Island peoples now live in New Zealand, especially in Auckland, a city sometimes described as the Polynesian capital of the world. They brought with them exciting music and dance, including the eastern Polynesian rhythm music featured here. The members of this Cook Island drum group are from Rarotongan families. They perform, on log and skin drums, rhythms composed by the late Turepu Turepu, noted musician and choreographer. 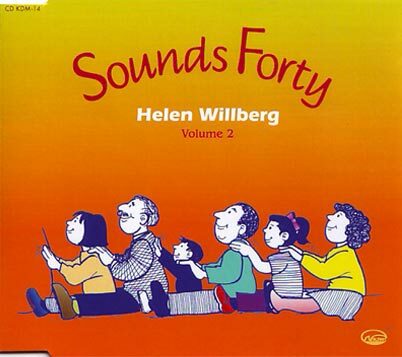 Tracks 6 - 10: Maori action songs and chants: excerpted from the companion disc/tape WAKA MAORI, by the New Zealand Expo Maori Entertainers. 6. Aue E Te Iwi E and Haere Mai (Kingi Tahiwi) (trad.) Composer Kingi Tahiwi calls to all people and nations of the world in "Aue E Te Iwi E", combined with the most ancient Maori welcome of all, the traditional musical greeting "Haere Mai". 9. Te Atairangi Kaahu (Cooper / Temaru) Dame Te Atairangi Kaahu became chiefly incumbent of the Maori King movement in 1966. Pou Temara and Te Taite Cooper composed this tribute to one of the great ladies of Maoridom in the 25th year of her reign as Te Arikinui. New Zealand was first sighted by Europeans when the Dutch explorer Abel Tasman came upon the western shores of these southern islands in 1642. Over 100 years later, in 1769 English navigator Captain James Cook visited New Zealand, charted the coast-line of both islands and claimed the territory for England. Many hundreds of years before this however a bold and proud people of Polynesian origin, the Maori, voyaged across the Pacific Ocean in huge canoes to discover Aotearoa (New Zealand) and to establish settlements here. 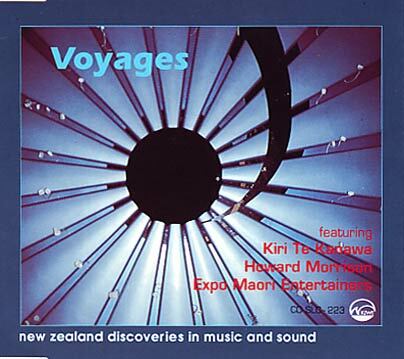 The recordings on this CD comprise a montage of discovery sounds and images which are evocative of both the great Maori voyages and the European discoveries - progressing through to the music, sounds and activities of New Zealand today, conveying a little of New Zealand's culture and rich inheritance. Modern New Zealand as portrayed by the unique film produced for the New Zealand Expo Pavilion (Seville 1992). An energetic, youthful and adventurous country is represented by Wayne Laird and Ben Staples’ exciting rhythm and effects score.